A very nice Native American link bracelet by Mike Thomas. 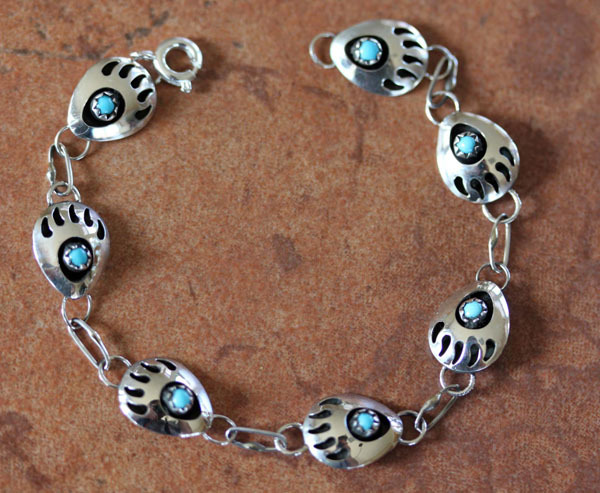 It is made from sterling silver and turquoise. It is about 6 3/4" in length and it is about 3/8" wide.